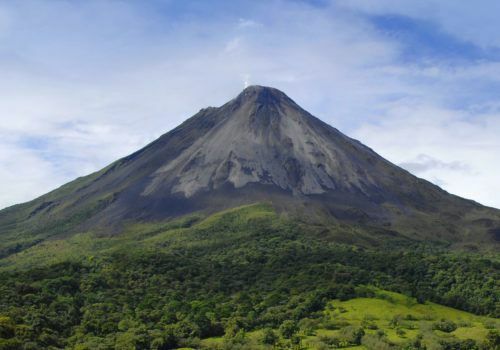 This eco-friendly Costa Rica itinerary takes you to some of the best locations in the country. From coffee plantations to nature reserves, this trip offers an eco-friendly way to visit the country. It will take you into the rainforest and on trails and hikes that are unparalleled in the region. Meet and greet at Juan Santamaría International Airport. Transfer to Santa Barbara de Heredia and the Finca Rosa Blanca Coffee Plantation and Inn where you’ll stay in a Junior Suite. Here you’ll find an artistic, free-form design property, set in an organic coffee plantation. This luxury sustainable hotel has rooms that are decorated with original hand-painted murals and include jacuzzi baths and minibars. They either have a private veranda overlooking the Central Valley and the volcanoes above or a secluded patio surrounded by lush colourful gardens. Each sunny morning, guests wake to an exquisite breakfast, with freshly brewed organic coffee grown on the plantation and succulent mango, papaya, pineapple and bananas from the Inn’s own organic orchards. The spring fed pool contains chemical free water and a 12-foot cascading waterfall. Above the deck of the pool is a hot tub-jacuzzi surrounded by a sculptural pergola covered with flowers. Breakfast in the hotel. Day to relax and to discover Finca Rosa Blanca’s organic coffee plantation. The Rosa Blanca Coffee Plantation is located 4000 feet above sea level, on a temperate plateau, ideal for producing some of the world’s best coffee in the lush volcanic soil. Learn how coffee was discovered and how it is traded and consumed today while strolling down the lanes of Finca Rosa Blanca’s organic sustainable coffee plantation. The guide will explain all about the different steps involve in planting and harvesting an organic coffee plantation, and you can even participate in the picking of coffee, during the harvest season, from October to January. The guide will also take you step by step through the whole procedure of coffee from clearing and drying the berries to final roasting and packing. Learn how the experts discern and rate gourmet coffee by participating in a coffee cupping session and learn how to make a cappuccino, café latte and espresso coffee. Finally, sit out and enjoy the view while sipping a fresh cup of coffee while learning about the benefits that an organic sustainable coffee plantation bring to the environment and the community. After breakfast, our guide will pick you up from Finca Rosa Blanca to take you to Villa Blanca Cloud Forest Hotel, visiting en route the towns of Grecia, Sarchí, Naranjo and Zarcero. The town of Sarchi is home to the typical artisans of Costa Rica. Sarchi offers from the hands of laborious artisans the most beautiful oxcarts, very representative of Costa Rica’s culture and idiosyncrasy, a variety of handicrafts and also the opportunity to get involved in the processing. Bright colours, different kind of woods and a heritage of talents are part of what you will enjoy on your visit to Sarchi. Breakfast included in the hotel. Day at leisure to relax and enjoy Villa Blanca. Villa Blanca is located in the heart of 3000 private acres of pristine cloud forest and dairy pastures. The gardeners and guides continuously work to maintain a 3km system of nature trails through the property specially designed with no staircases or steps to keep a good walking rhythm. Guest can take a self-guided walk or chose to be accompanied by Villa Blanca’s naturalist guide. After a delicious breakfast, our guide will pick you up to take you beautiful Punta Islita. This private transfer by road will take approximately four hours. You’ll stay for three nights at Punta Islita where life’s best experiences intensify. This beachfront setting features a stunning tropical forest and charming people who welcome guests with heartfelt hospitality. Golf, Spa, Zip-lining, horseback riding, and fine dining can be enjoyed in relaxing seclusion and premium facilities. 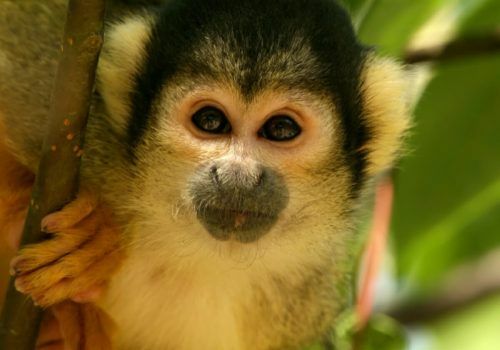 Whilst you’re at Punta Islita you can choose from a wide range of included activities such as eco-adventures like canopy and horseback riding, nature expeditions like monkeys and turtles watching, golf and cooking lessons or art sessions with the community. 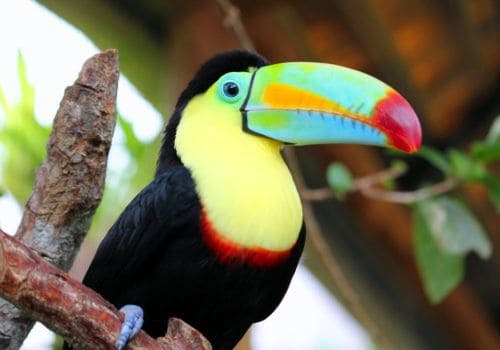 After a delicious breakfast, early private transfer to Punta Islita airstrip or to Nosara airstrip to take a local flight to San José to connect with another local flight to Puerto Jimenez. Once in Puerto Jimenez, you will be guided to the Reception Office where refreshment will be offered before the trip continues along a bumpy but scenic road for 45 minutes. When arriving to Lapa Rios, the lodge’s manager will welcome you to the property and will tell you about Lapa Rios’ history, mission, vision and goals. Rest your body and soul after a delicious lunch taking a nap in the hammock of your comfortable bungalow or take a refreshing dip in the swimming pool. An exquisite three-course meal will be served in the restaurant for dinner. 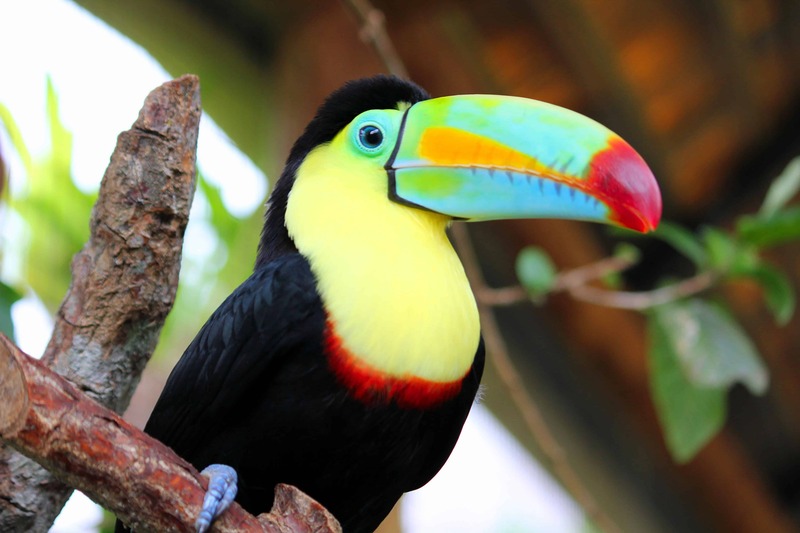 Whilst at Lapa Rios, you’ll have the chance to take guided tours to the waterfalls, to see wild birds and take a walk on the Rainforest Ridge. Wake up with the stunning sunrise behind the Golfo Dulce in front of your eyes. Have a delicious breakfast with tropical fruits and locally harvested ingredients before getting ready for a new exciting day. You can once again choose from a selection of on-site guided tours. After breakfast, get ready with the sunrise for another day of adventure. You might want to get immersed in the real rainforest. The Osa Trail hike will lead you into the deep primary forest in the Lapa Rios private reserve. For the rest of the afternoon relax on the sun bed in your private balcony while hearing the toucans, macaws and sound of the waves or take time to relax in the fresh water pool. Join other guests at the scenic Brisa Azul Restaurant for a glass of wine or a cocktail before dinner. Early departure back to Puerto Jimenez to take a local flight back to San José, to Juan Santamaría International Airport. Form here you’ll travel home.